Nike Air Zoom Golf Kenkä, kevyt vain 375g! 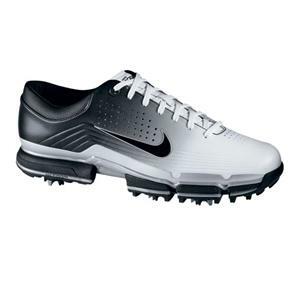 Be sure footed on the course this season with the highly stylish Nike Air Zoom Vapor Golf Shoe. Designed for maximum comfort and support these shoes are an essential purchase for anyone looking for an active and agile shoe. Incredibly thin, the foot is closer to the ground which allows for optimum feel and enhanced manoeuvrability. Tuotteen lisäyspäivä: keskiviikkona 20 tammikuuta 2010.